Fabulous agave attenuata cultivar produced in tissue culture for year round availability.It is much bluer and has wider leaves than A. attenuata and the flower stalk is erect where A. attenuata droops over. Culture and growth patterns are otherwise similar to the species. Grows to about 3-4 feet tall by as wide. 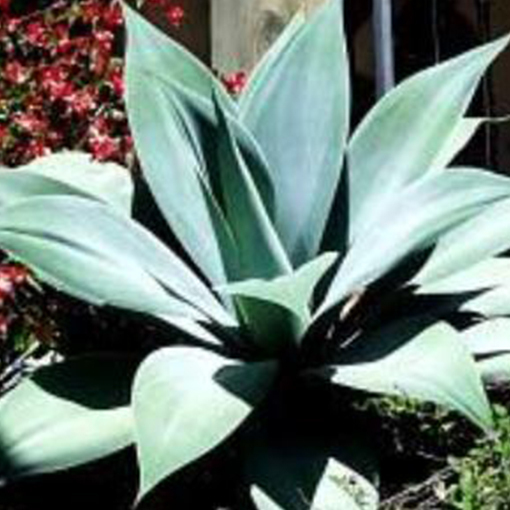 Hardy to about 28 degrees F. Previously known as Agave attenuata ‘Huntington Blue’ and Agave attenuata ‘Nova’.